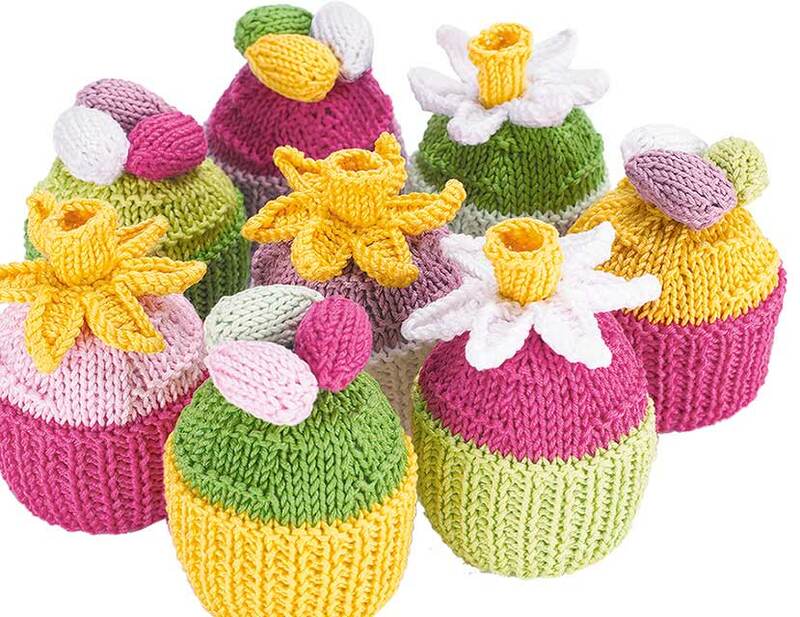 Knitted Tea Set: Perfect for tea parties! 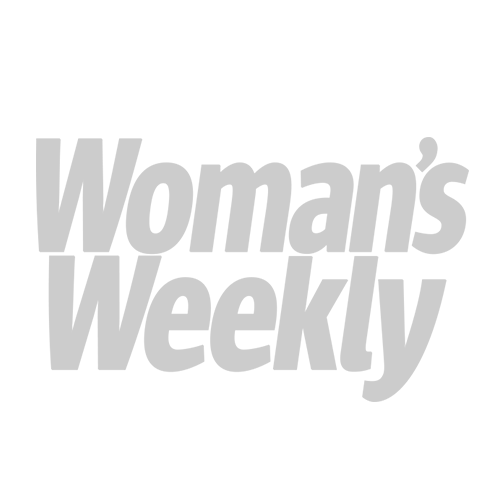 There are so many rewarding aspects of knitting that it can be difficult to pin down exactly what it is that is so appealing about the pastime. This could have a lot to do with the fact that different people knit for different reasons. Some knit for the practicality of producing warm clothes like jumpers, while others simply enjoy it as a relaxing hobby. One of the most fulfilling reasons to knit is easily preparing gifts for friends, family and loved ones. If it is for a trendy young adult of college or university age, they may like a jumper in a vintage style – a trend that is very much in vogue right now. But what if you have very little children? They grow up so fast that it would seem a shame to spend so much time creating a beautiful cardigan, only for them to grow out of it too soon. Even if you made something more durable – it might get ruined if the young ones enjoy tearing around outdoors when playing with their friends. So why not try knitting them some toys? Whether it’s to slyly mock our ritualistic ways or to feel more grown up, kids love playing adults – and this is clearly proven in the long history of toy tea sets. The Afternoon Tea Set Knitting Patterns from our shop is made in stocking-stitch using DK and Aran yarn and includes a teapot, cup and saucer, tea plate and cakes. 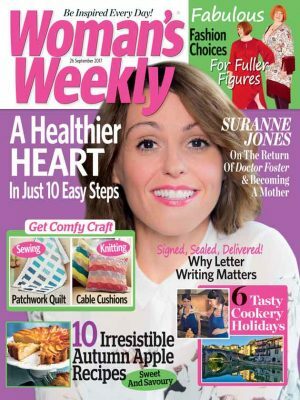 To order your copy, ring us on 0800 024 1212 and quote the product code WTD051. 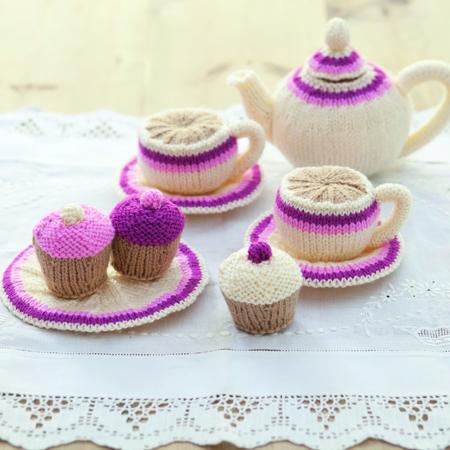 If you’d like your afternoon tea spread to look even more tempting, we suggest snapping up our Cupcakes Knitting Pattern. The reference number for this charming make is WHD035. 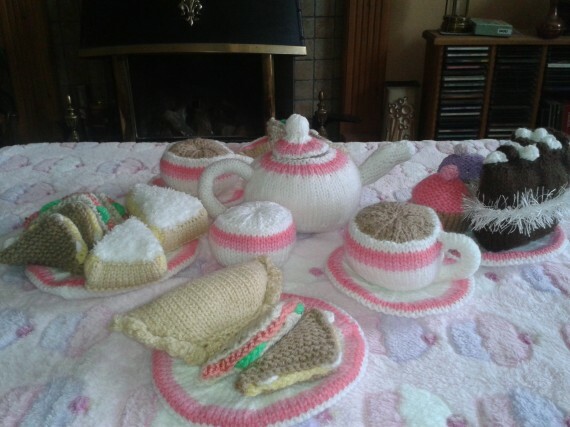 Perhaps feeling inspired by our tea set knitting pattern, one of our readers named Nancy had a go at knitting her own array of cups, saucers and tasty treats. ‘I have had a lot of fun making this knitted tea set and I made a set for my 6 year old niece who adores it,’ she told us.